Local Improvement Networks bring together district leaders, school teams, and community partners to improve early learning and elementary outcomes for students of color. The groups work together to better prepare children for kindergarten, ensure more students are proficient in early grade math, and strengthen the social and emotional learning of our youngest learners. Core to this work is continuous improvement, a cyclical process of setting goals, identifying root causes, testing changes, and adopting improvement. 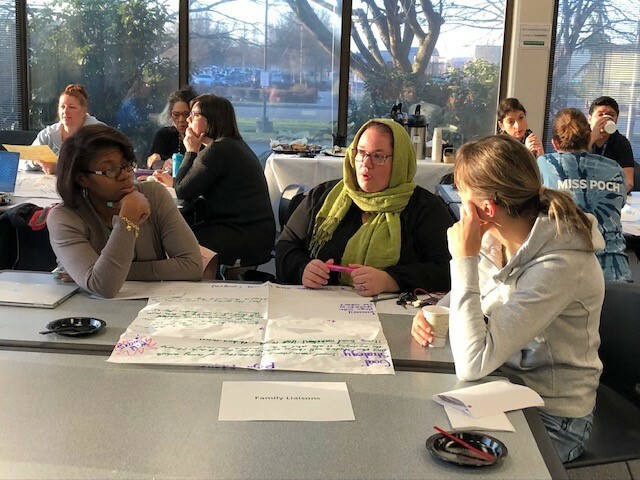 Local Improvement Network schools and community partners set goals with students, identify indicators that might impact student success, address them quickly, and continue to evaluate and refine practices. The first Local Improvement Network is in the Renton Innovation Zone and is comprised of four elementary schools and nine community partners. These partners meet regularly to review data and test out high-impact strategies. Another Local Improvement Network will launch late 2019 with more coming in 2020.